Walking out of a lecture on mood disorders, one of my classmates made the striking remark, “Well, if that’s the definition of depression, then all medical students are depressed.” Even though his comment provoked laughter, I couldn’t help but wonder about the possible, sad truth in it. Like so many psychiatric disorders, the definition of major depressive disorder is based on subjective conditions, like loss of interest or pleasure in daily activities or feelings of worthlessness and guilt. Thus, there is a level of vulnerability, openness and trust that a patient has to have with a physician for the disorder to even be diagnosed. People need to be willing to talk about and share with others their symptoms and experiences to receive help. In places like medical school, mood disorders are particularly prevalent. Studies suggest that as many as 21 percent of students have depression, and up to half of medical students at any point in their schooling are suffering from burnout. Despite this, students do not often share their struggles. Part of the reason may be that the medical school environment rewards sacrifice and deprivation and frowns upon weakness — both mental and physical. Many medical students with depression often keep their illness quiet, for fear that it will negatively affect their future prospects. 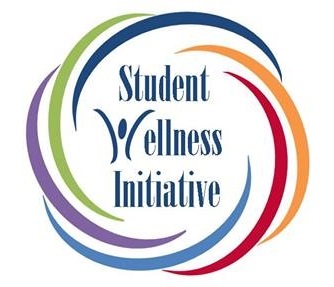 The Student Wellness Initiative started in 2011, with the goal of improving the well-being of future physicians. Feelings of anxiety, loneliness and doubt are often magnified in the third year of medical school, when students transition from lecture-based learning to real-life patient care in the hospital. My classmates and I have had innumerable conversations about our struggles to balance sleep, relationships, study, the pressure of being constantly evaluated by residents and faculty, and the isolation of third year. Was I ever clinically depressed during medical school? I can’t say for sure, but what I do know is that I didn’t seek help when I needed it most. Thankfully, there has been a revolution among those in the medical field to destigmatize mental health disorders and to encourage openness in speaking about these issues. In particular, at the Johns Hopkins University School of Medicine, a group of medical students and faculty members founded the Student Wellness Initiative (SWI) in 2011, with the hope of improving the well-being of future physicians. “Through SWI, we want to empower our peers to create and practice their own vision of personal and professional wellness,” say Maxine Norcross and Brent Pottenger, two of the medical student founders of SWI. From wellness workshops to the LiveWell newsletter, SWI has been opening up space at the school of medicine for conversations about mental health, work-life balance and self-care. Other mental health resources for medical students include the Johns Hopkins Student Assistance Program, the College's faculty and University Mental Health, part of University Health Services. Thanks to these programs and so many more across the nation, the conversation about improving mental health in medical school continues to grow.